GET WEIRD: The Claypool Lennon Delirium featuring Sean Lennon (left) and Les Claypool (right) brings its psychedelic space rock to Fremont Theatre on Aug. 4. What happens when you get two talented musicians who are used to working on the fringes of mainstream music and throw them together with absolutely no agenda and no pressure to do anything but explore? Well, if the two musicians are Sean Lennon (son of John) and Les Claypool (bassist of Primus), you get the psychedelic space rock record Monolith of Phobos, a 10-track album written and recorded in six weeks when Lennon left New York to spend time at Claypool's California guest house. The pair drank a lot of wine, watched The Monkees' 1968 psychedelic musical satire Head, and played together every day in Claypool's studio. What came out would make Frank Zappa proud. It's a weird but engaging record featuring Claypool's signature bass sound and his lyrics inspired by Charles Bukowski and Dr. Seuss, as well as Lennon's alt-pop sensibilities. If you want the lyrics to make sense, you might need to ingest some acid or mushrooms. A few songs are definitely anti-Big Pharma, but a lot of it is impressionistic nonsense, although that doesn't detract from the music. Both of these guys don't follow the typical musical playbook. As Lennon said in an interview in Rolling Stone about the collaboration, "We have similar taste in notes. We tend to like the notes that other people hate." 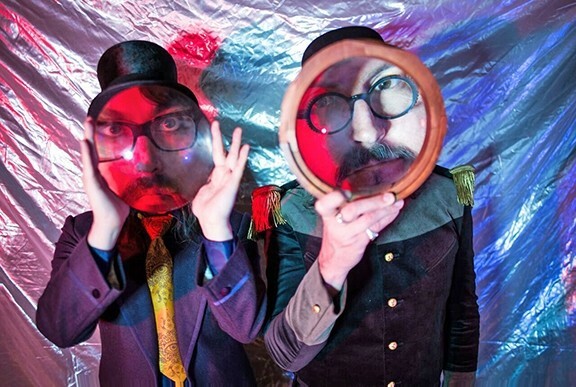 Calling themselves The Claypool Lennon Delirium, the pair plays on Thursday, Aug. 4, at the Fremont Theater (8 p.m.; all ages; $32 at vallitix.com, 888-825-5484, or Boo Boo Records). "Sean is a musical mutant after my own heart," Claypool said in press materials. "He definitely reflects his genetics"not just the sensibilities of his dad but also the abstract perspective and unique approach of his mother [Yoko Ono]. It makes for a glorious freak stew." Said Lennon of Claypool, "In my circle of oddball musicians, he's a legend. He's like the Tim Burton of alternative music." JJUUJJUU will open the show. 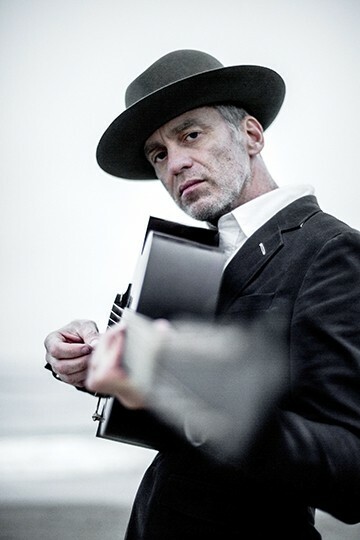 FOLKING AMAZING: Terrific folk singer-songwriter Sean Hayes plays a SLOfolks show at Castoro Cellars on July 30. 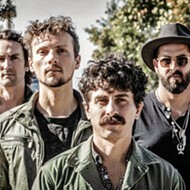 Good Medicine Presents and Tooth & Nail Winery have a must-see concert for fans of alt rock this Thursday, July 28, when Blind Melon singer Travis Warren, guitar genius Zane Carney, and special guests play an acoustic concert (6:30 p.m.; all ages; $10 presale at ticketfly.com or $12 at the door). Warren has been in a number of successful local groups, but when Blind Melon decided to reform in 2006, they tapped Warren to take over singing duties for original vocalist Shannon Hoon, who died of a drug overdose in 1995. Carney's an amazing and unusual guitarist trained at USC's prestigious Thornton School of Music, best known for his work with John Mayer and Broadway's Spider-Man: Turn Off The Dark, though he's a very in-demand session player as well. This should be a pretty amazing evening. 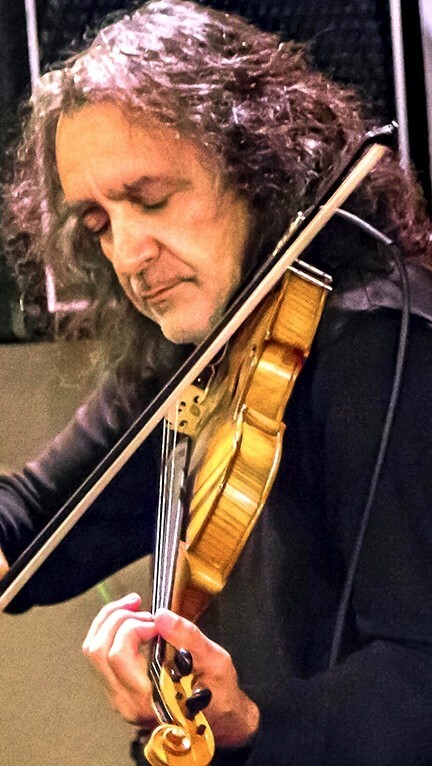 CANDLELIGHT : Sal Garza (pictured) and the Candlelight Strings plays a healing concert on July 29 in St. Benedict’s Episcopal Church of Los Osos in response to the Orlando nightclub massacre and other recent tragic events. Also at Tooth & Nail on Friday, July 29, local reggae act The Kicks play (5 p.m.; free). 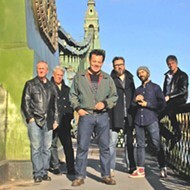 Their progressive roots sound and positive vibes have made them one of the area's most loved and longest running reggae acts, having started in 2003. Fronted by Reese Galido, the band delivers a soulful mix of reggae and ska with jazzy elements. Looking around America, there's plenty to be concerned about between the police shooting unarmed black men, police being targeted by psychopaths posing as vigilantes, and homegrown terrorism like the Orlando nightclub massacre. How we react to these tragedies is how we define ourselves, and for a group of local musicians, they plan to react with Hope and Beauty: A Local Response to the Orlando Shootings, which will feature a string quartet in concert this Friday, July 29, in St. Benedict's Episcopal Church of Los Osos (7:30 p.m.; all ages; $15 at the door). "I originally intended this music program to be a regular showcase of classical master composers," Sal Garza, violinist, explained. "Now, ever since all of these gripping news events around the world, and especially the violence in this country that's impacting most everyone, my friends and I have decided to perform music from most of the popular genres, and from the classic era." Calling their quartet the Candlelight Strings, the ensemble includes Bette Byers (viola, violin), Dr. Maurice Sklar (first violin), Jeanne Shumway (cello), and Garza, who said the program will include Mozart's Divertimento D Maj. K136, J.S. Bach's Double Concerto D minus, Led Zeppelin's "Stairway to Heaven," Gershwin's "The Man I Love," Arlen's "Over the Rainbow," and Metallica's "Nothing Else Matters," all arranged for strings by Byers. "Bette Byers is one of the most talented arrangers that I've ever worked with," Garza said. "Half of the program will be her arrangements of Broadway show tunes, rock standards, and even a tango hit. I saw Sarah Lee Guthrie speak before a crowd of thousands [at the Bernie Sanders rally] in Santa Maria, and she mentioned something about music being the unifying element, which can heal and strengthen people as they endure and suffer through life's crossroads. Our intention is to do this as well with this event. It is our humble intent to bring into the midst of what seems like chaotic times a calming effect through the power of making beautiful music together." And don't you want to know what Metallica sounds like as a string quartet? C.W. Stoneking isn't really like anyone else I've seen. He favors dressing head-to-toe in white, save for a dark bowtie. 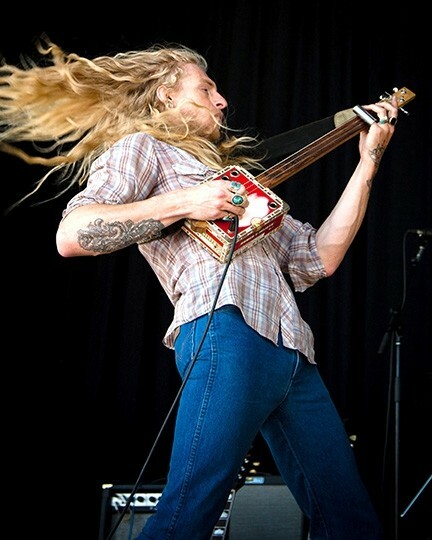 His instrument of choice is either a banjo, resonator guitar, or metallic flaked Fender. His rasping voice sounds like an old-school bluesman mixed with a roadside tent revival preacher. He's definitely got one foot in the past, but his tattooed hands and edgy hipster vibe suggest he's a man of the present. His story is pretty amazing: "A first generation Australian of American-descent, C.W. Stoneking was born in the top end of Australia's Northern Territory and spent his childhood growing up in Central Australia, Sydney, and rural Victoria. He has traveled the world from Egypt to New Orleans (where he worked as a hoodoo doctor's assistant) to Trinidad, where he learned about calypso music. He has lived in isolated farmhouses working as a handyman and been involved in and survived a shipwreck, spending time in Africa, and toured internationally as a recording artist." 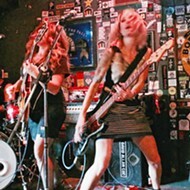 SLO Brew hosts C.W. Stoneking on Monday, Aug. 1 (8:30 p.m.; 18-and-older; $8 at ticketweb.com). Expect everything from deep blues to jungle rock boogie. If you spliced early Ray Charles, mid-period Tom Waits, and Lightnin' Hopkins' genes together, you might end up with a sound like Stoneking's. There're still two more Grandstand concerts at the California Mid-State Fair before it closes up shop for another year. See blues guitar slingers Kenny Wayne Shepard and Johnny Lang on Thursday, July 28 (7 p.m.; all ages; $26 to $46 at midstatefair.com). The following night on Friday, July 29, Brian Wilson will be recreating his Pet Sounds album live (7 p.m.; all ages; $31 to $61 at midstatefair.com). SOUTHERN CHARM: Bare bones rock trio Candy’s River House brings its brand of ripping Southern rock to Frog and Peach on July 30. The For the Folks series continues this Friday, July 29 (6:30 p.m.; all ages; free), at the Honeymoon Café with Erisy Watt from Santa Barbara along with Big Sur's Huddy Bali opening. "Erisy is the creator of the Cabin by the Sea series down at SOHO in SB, which holds four concerts a year to benefit local nonprofits, and I thought there might be a nice correlation between two music series in neighboring communities both striving to enhance and connect life along the coast," said organizer Ben Bellizzi. SLOfolks presents Sean Hayes on Saturday, July 30, at Castoro Cellars (7 p.m.; all ages; $22 at Boo Boo Records, castorocellars.com, or 238-0725). "Sean Hayes blew us all away at Beaverstock 2014 and we couldn't be more excited for his return," concert organizers said. "Sean's musical genius and mesmerizing stage presence are the perfect match for this intimate concert!" He writes great folk pop songs and has a soulful voice. This ought to be a great show. On Saturday, July 30, The Cinders Blues Band plays D'Anbino's (8 p.m.; 21-and-older; $10 with reservations at 227-6800). "Blues. Dancing. Yes, those two things can and should happen simultaneously," said guitarist Dorian Michaels, who will be joined by vocalist Brett Hoover, bassist Ken Hustad, and drummer Dean Giles. "We play real blues. We've been playing this stuff since we were kids. Which was quite some time ago. And you can dance to it." 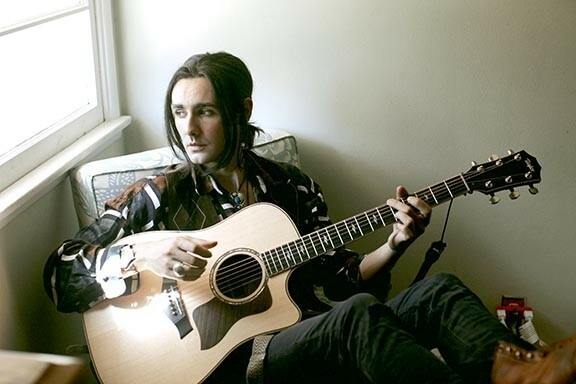 GUITAR DEMIGOD: Zane Carney (pictured) and Blind Melon singer Travis Warren play an acoustic show on July 28 at Tooth & Nail Winery. Candy's River House, a bare bones Utah-based rock trio, plays Frog and Peach on Saturday, July 30 (10 p.m.; 21-and-older; free). Fronted by Jordan Young originally of Tennessee, the trio has a decidedly Southern flair, and Young is a monster guitarist with a soul-drenched voice. Jazz and folk singer-songwriter Avi Wisnia will play Sculpterra Winery on Sunday, July 31, as part of the Songwriters at Play showcase (1 p.m.; all ages; pass the hat). The award-winning Philadelphia-based songwriter will be playing his breezy upbeat new summer singles "Sky Blue Sky" and "Pass Over" among others. The 16-piece Royal Garden Swing Orchestra will play Big Band standards from the '20s, '30s, and '40s this Sunday, July 31, at the Rotary Bandstand in Arroyo Grande (1 p.m.; all ages; free). Listen to songs by great bandleaders such as Benny Goodman, Glenn Miller, Stan Kenton, Duke Ellington, Buddy Rich, and The Dorsey Brothers. img12368	Vina Robles Amphitheatre is hosting a very special concert for local pops lovers. 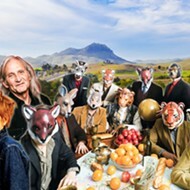 On Sunday, July 31, Opera San Luis Obispo Grand Orchestra & Chorus will present Symphony at Sunset (7 p.m.; all ages; $25 at Boo Boo Records, ticketmaster.com, or vinaroblesamphitheatre.com). Under the baton of Brian Asher Alhadeff, expect a diverse program from Leroy Anderson, John Philip Sousa, Henry Mancini, Elvis Presley, and Michael Jackson. 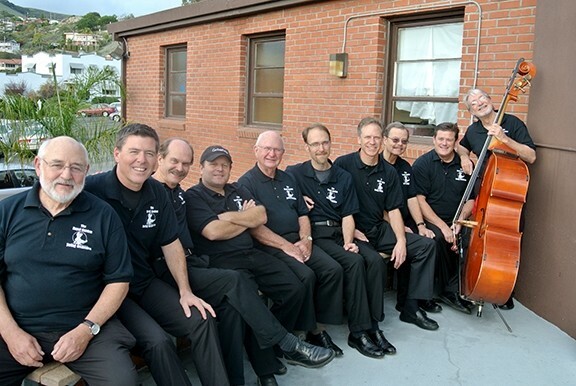 PROS: Royal Garden Swing Orchestra, manned by many of the area’s best jazz players, presents a free concert on July 31 at the AG Rotary Bandstand. Dylan McDonald and the Avians play Tooth & Nail Winery this Tuesday, Aug. 2 (5 p.m.; free). 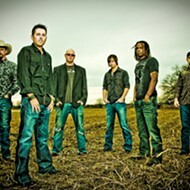 Dylan is the son of five-time Grammy winner Michael McDonald, and he and his band will be playing their brand of rock that's been compared to John Lennon, Neil Young, and Tom Petty. "That comparison is flattering," McDonald said in press materials. "They are such influences to use musically that it makes sense that people hear it in our music, but I am humbled anyway." The eighth annual New Times Music Awards is accepting entries through Monday, Aug. 22. You can enter the songwriters' contest, submit songs in the various genre categories, or submit an album for the Album of the Year contest. Our panel of judges will decide the winners, who will be invited to play the awards show on Friday, Nov. 11, in the Fremont Theatre. You'll find an entry form on page 5, or enter online at newtimesslo.com. And good luck!